WASHINGTON (AP) — The Navy admiral nominated to lead U.S. Southern Command defended attending a dinner party in Hong Kong sponsored by a defense contractor who later pleaded guilty to bribery and defrauding the U.S. military. 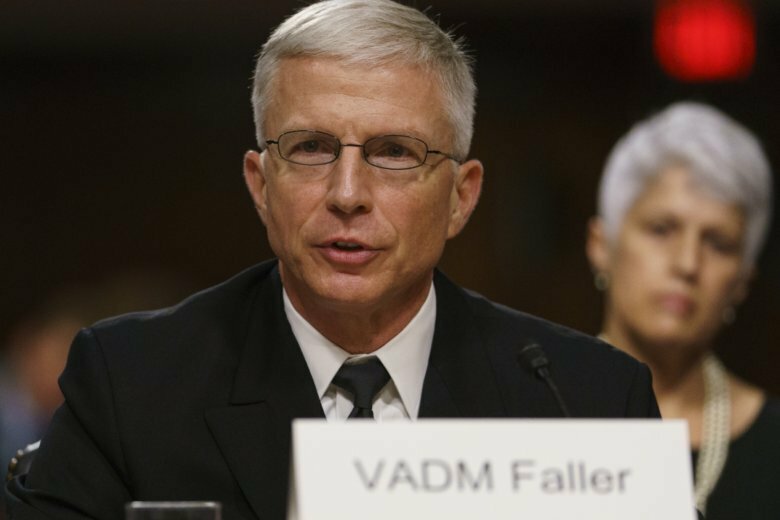 Vice Adm. Craig Faller told the Senate Armed Services Committee on Tuesday that he accepted the free meal only after the invitation was reviewed and approved by a Navy ethics counselor, whom he said also attended. Faller, who has been Defense Secretary Jim Mattis’ senior military assistant, said nothing inappropriate happened and that the Navy cleared him of any wrongdoing. The Washington Post reported on Monday that Faller had been under investigation for more than three years in connection with the 2004 dinner, which was one of many sponsored by Leonard Glenn Francis. The Post said the Justice Department decided not to prosecute Faller but passed the case to the Navy, which in March cleared Faller of wrongdoing. Faller’s confirmation hearing did not dwell on the Francis issue; the session was dominated by senators’ questions about combatting drug trafficking and other regional issues including the instability in Venezuela. There is no indication that Faller’s nomination is in jeopardy. Sen. Elizabeth Warren, a Massachusetts Democrat, was the only committee member who pressed Faller hard on the December 2004 dinner in Hong Kong. At the time, Faller was commanding officer of the USS Shiloh. Warren expressed skepticism at Faller’s assertion that his attendance at the dinner was not a lapse in judgment. She noted that the Post said the dinner included appearances by women dressed in skimpy Christmas costumes. “I just have to say, this does not pass the smell test for me,” she said. Faller told the committee that as head of Southern Command he would focus on enhancing U.S. military relations in South and Central America and combatting the problem of drug-related deaths in the United States. “If confirmed as SouthCom commander, I will remain committed to doing our part to deny, degrade and destroy this scourge,” Faller said. He made no mention of the U.S. military detention center for terrorist suspects at the Guantanamo naval base in Cuba, which remains open and would be his responsibility as commander of Southern Command.